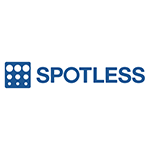 Spotless Group’s contact centre organically grew to 200 seats, but over the years it has grown, various leaders took ownership of small divisions in the contact centre, creating disjointed operational and strategic management of the service. Since coming into Spotlight, Trent has established a relentless focus on delivering a good rhythm on leadership and maturity of frontline staff to ensure aligned values and to eliminate any siloes that have been established organically as the contact centre grew. Check out the incredible speaker line-up to see who will be joining Trent.